When his son was diagnosed with a disabling mental illness, John F. Baggett experienced a journey of grief unlike any other a grief for the loss of all his son would never be and that he, as a father, would never experience. 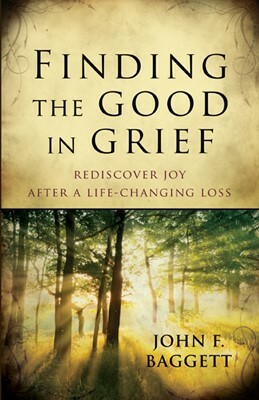 Through that difficult period he learned that grief (by whatever definition and for whatever reason)can be a time of momentous spiritual struggle: it is no smooth sailing even for faithful Christians. How then can believers navigate the struggles of faith that so often accompany personal tragedy? 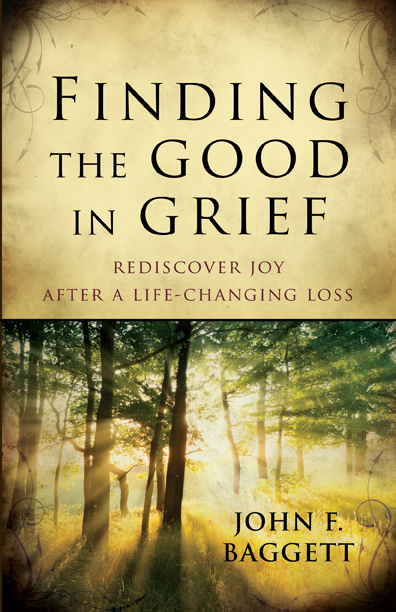 Finding the Good in Grief will help CHristians successfully negotiate faith struggles that often accompany the different stages of grief and will encourage them to find and develop spiritual resources to survive their darkest days of emotional turmoil. Most of all, it will guide them to understand that God does have the power to transform events of radical suffering and to use them for good in our lives.